Contact us today to find performing artists with deep roots serving the community. At Organic Arts Ltd, there’s nothing we love more than to share our “natural” talents and love of the arts and humanities with the community. 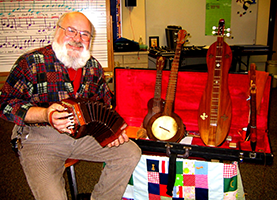 Our performing artists follow in the footsteps of Pete Seeger, Aldo Leopold, Garrison Keillor, Carl Sandburg, and Mr. Wizard! Let the Organic Arts “Family Tree” of professional performing artists help you make your Family Event special, inspiring the next generation of performers and creating a real sense of community today! Contact us now at [email protected] / (414) 702-6053. 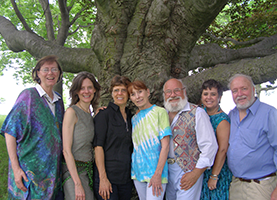 Organic Arts is a down-to-earth collaboration of professional performing artists and educators serving communities and education with folk, jazz, and bluegrass music, storytelling, history, social justice, natural sciences and genuine grassroots art. Organic Arts is located in Milwaukee WI and serves Wisconsin and the Midwest. We act as a clearinghouse that connects lifetime professional performing artists with family community events, educators, festivals, libraries, elder recreation providers and donors. Our artists present “public service” arts events for audiences from kids to elders with professional arts experiences that span the generations. We are the performers who have spent a lifetime presenting interactive arts experiences for communities whereever the arts are needed - in your home town, for your kids, your families, and your parents for over 25 years. At Organic Arts, we recognize the importance of integrating our performing arts with the community and to have an active group of mentors who are eager and able to create, present, and advice on arts-based curriculum for schools. What we do today can help your children grow for a lifetime. We hope to make your time with us a world of music, storytelling, science, history, and the arts one to remember! Artists are available for concert, festival, school assembly and workshop, library, and elders programs. Any contribution of grant or gift money or services to Organic Arts is deeply appreciated, tax-deductible, and vitally needed. Your support will help our artists continue their public service to our children, families, and elders at schools, libraries, festivals, senior communities, churches, parks, nature centers, and communities to work for a better tomorrow. Each year Organic Arts presents over 300 public events, sponsors the Milwaukee Ukulele Festival and Tellabration Storytelling Festival, mentors and creates connections for young artists, and acts as a cultural clearinghouse linking proven professional artists to the needs of the community. Organic Arts is a registered 501c3 Educational Non-Profit and Tax Exempt Organization based in Milwaukee, Wisconsin. We are an Affiliate Member of Folk Alliance International (www.folkalliance.org ) and supported by the Milwaukee County Cultural Artistic & Musical Programming Advisory Council (www.milwaukee.gov/CAMPAC). Our records are open to the public during office hours. 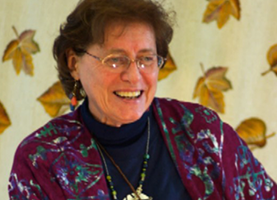 Guidestar Profile : https://www.guidestar.org -Search "Organic Arts"
The mission of Organic Arts Ltd. shall be to serve as an educational resource to schools, institutions, communities, and artists interested in organic, grassroots and earth-friendly art forms including music, storytelling, theatre, dance, visual arts, poetry, the environment and history. The organization shall facilitate connecting arts providers to educational and community presenters to professional artists, mentor emerging talent, assist artists in need, and produce publicly accessible arts events.